Jupiter, FL – March 5, 2019 – March is known for the coming of spring, a major college basketball tournament, and the celebration of a popular Irish saint. 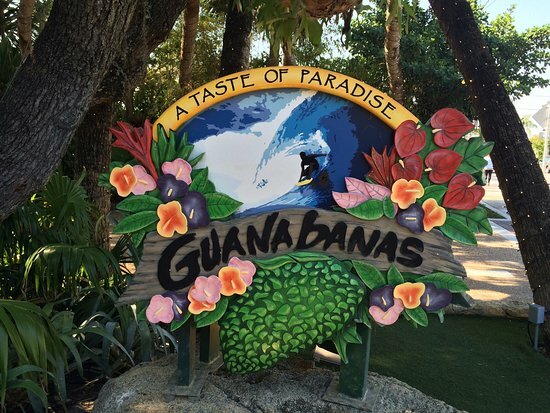 At Guanabanas Island Restaurant & Bar, the month will also serve as a testament to the incredible range of music offered up to fans, particularly the stretch of shows planned for mid-March. It includes the debut of the Balkun Brothers on the 16th, a special Exmag St. Patrick’s Day 4 p.m. show, and the return of Roosevelt Collier on the 20th. 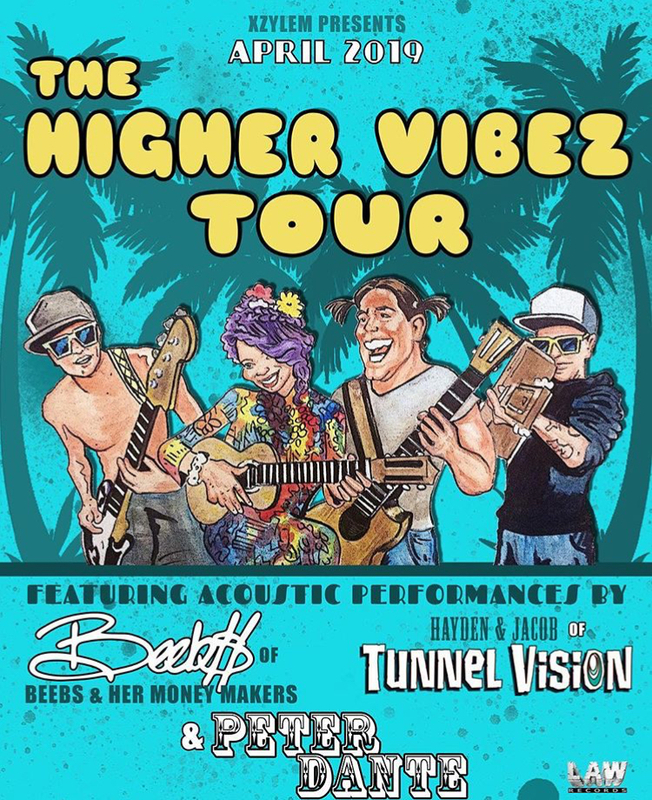 The popular waterfront venue is located at 960 North Highway A1A Jupiter, FL 33477; all performances are free and open to those 21 and over. “The third week of the month is going to be pure fire and we’re excited to be presenting this wide a range of music,” says Talent Buyer Matt Cahur. “The Balkun Brothers are a duo of seriously talented siblings, Exmag’s sound is very unique to say the least, and Roosevelt ‘The Doctor’, is very well known and loved around these parts.” Cahur founded Roots Music, Inc. more than 20 years ago, which has allowed him to successfully manage rock and reggae acts, and produce / promote local and regional concerts. He is the lead sound engineer and books all of the live music at Guanabanas; Matt is also an accomplished songwriter and guitarist. An internationally touring rock n’ roll band, the Balkun Brothers hail from Hartford, CT. Their sound is equal parts rock, blues and metal forged by older brother Steve’s custom-built baritone and resonator guitars, and younger brother Nick’s relentless drum pounding. They are touring in support of their new release on the French imprint Dixiefrog Records called Devil on TV, which was recorded in part at the legendary Sun Studios in Memphis, TN and produced by the heavy-hitting rock engineer Steve Albini. Learn more at www.BalkunBrothers.com. Showtime on March 16 is 9 p.m.
Minnesota hip-hop / jazz trio Exmag will perform a special early set on Sunday, March 17, beginning at 4 p.m. 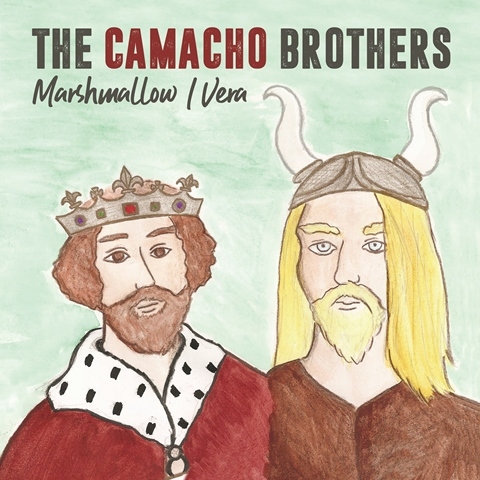 The band’s brand of funk evokes the Twin Cities’ musical godfather Prince, but breaks new ground with its smooth electronic originality. EDM Chicago insists that “there is nothing less than real about these fellas”, and the Huffington Post said of their music: “familiar as it is unique, reaching across genres and audiences”. Listen at exmagworldwide.com. Turnout at Guanabanas is always high for Roosevelt Collier, as his take on soul, funk and R&B is sonically and hip shakingly appealing. A veteran of the music festival set, where has performed with the likes of the Allman Brothers, Tedeschi–Trucks, Los Lobos , the Del McCoury Band and more, Roosevelt is now on tour promoting his debut album called Exit 16, which in the artist’s words is him “telling a story of who I am, where I’m from, and where I’m going.” Learn more at www.RooseveltCollier.com; music begins at 9 p.m. on the 20th of March. For more information about the show and the venue, visitwww.Guanabanas.com or call 561.747.8878. This entry was posted in Blog and tagged guanabanas, jupiter, live entertainment, roots music. Bookmark the permalink. 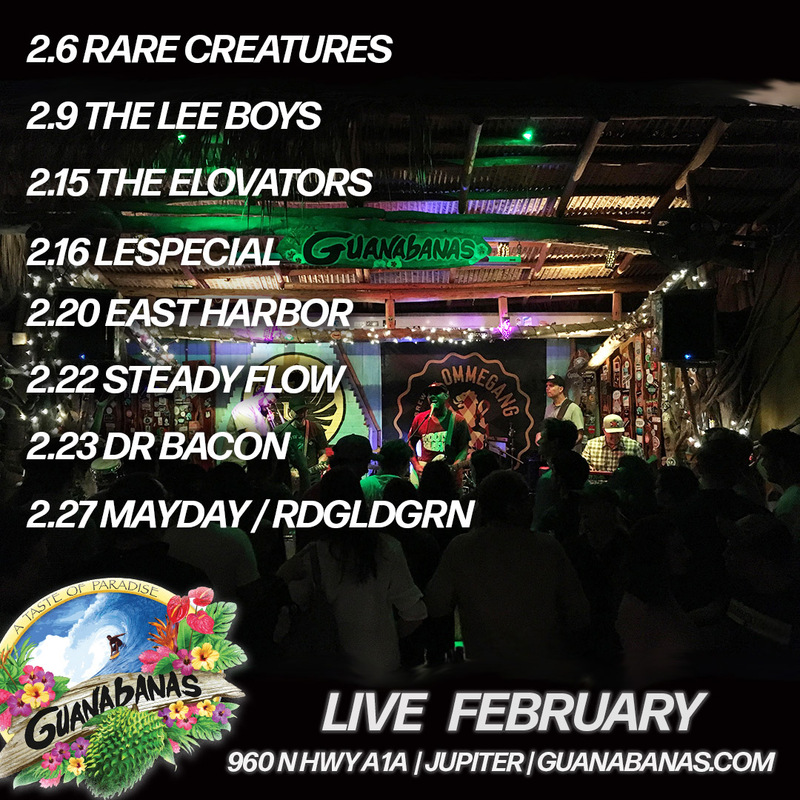 Jupiter, FL – February 26, 2019 – Guanabanas Island Restaurant & Bar(960 N Hwy A1A, Jupiter, FL 33477) and Roots Music, Inc. have planned a diverse slate of live entertainment for the month of March, beginning and ending with local favorites, and peppered with nationally touring acts in between. Wilmington, North Carolina’s Groove Fetish makes its way to Guanabanas Friday, March 8, 2019, beginning at 9 p.m. Free show; 21 and over welcome. For more information, visit https://www.facebook.com/events/1966000010116317. West Palm Beach-based electro rock and jam band Guavatron return Wednesday, March 13, 2019, beginning at 9 p.m. Free show; 21 and over welcome. For more information, visit https://www.facebook.com/events/617776258665450. 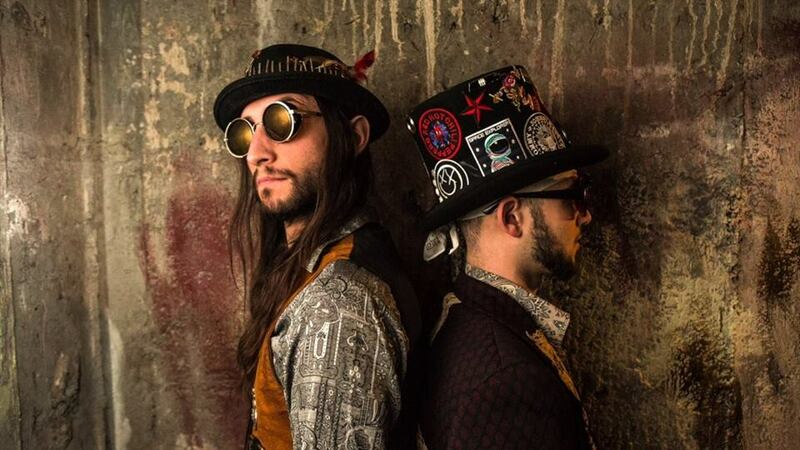 The psychedelic rock / punk / metal / funk group Balkun Brothers, led by the brothers Nick and Steve from Hartford, CT, will debut Saturday, March 16, 2019, beginning at 9 p.m. Free show; 21 and over welcome. For more information, visit https://www.facebook.com/events/1180657855431493. 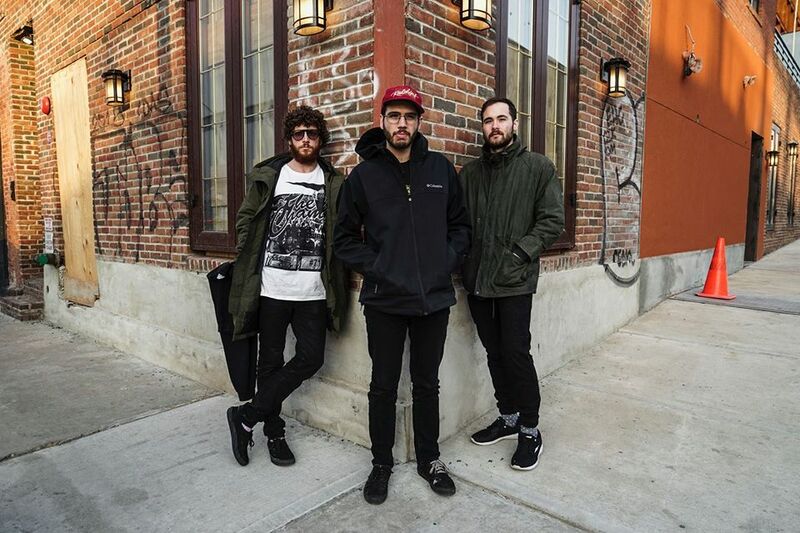 Minnesota hip-hop / jazz trio Exmag will perform a special early set Sunday, March 17, 2019, beginning at 4 p.m. Free show; 21 and over welcome. For more information, visit https://www.facebook.com/events/2266475103607724. South Florida’s sacred steel / funk / soul / jam master Roosevelt Collier returns Wednesday, March 20, 2019, beginning at 9 p.m. Free show; 21 and over welcome. For more information, visit https://www.facebook.com/events/383126439173258. The Statesboro, GA vintage rockers known as The Orange Constant make their way to Guanabanas Island Restaurant & Bar (960 N Hwy A1A, Jupiter, FL 33477) Wednesday, March 27, 2019, beginning at 9 p.m. Free show; 21 and over welcome. For more information, visit https://www.facebook.com/events/1703808416386230. Billy Gilmore (The Grass is Dead) and a bunch of his friends will perform Saturday, March 30, 2019, beginning at 8 p.m. Free show; 21 and over welcome. For more information, visit https://www.facebook.com/events/2192323521019265. 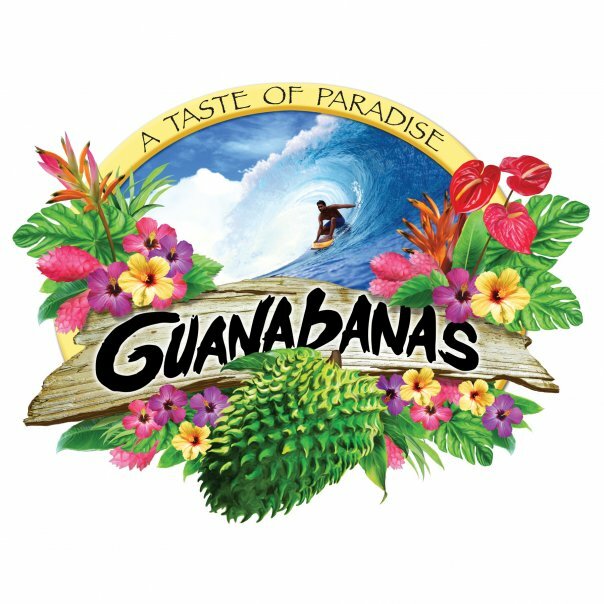 For more information about the show and the venue, and for the full lineup of March events, visit www.Guanabanas.com or call 561.747.8878.